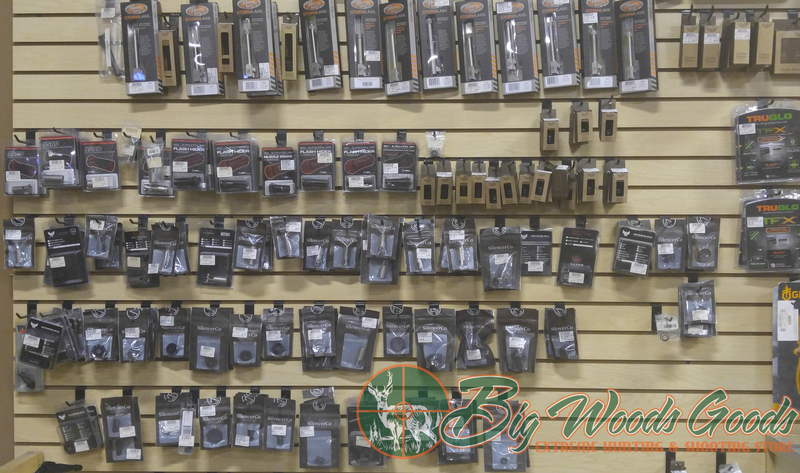 Big Woods Goods is proud to be a Class 3 Dealer. We currently have in stock and have on order several name brand Silencers. Class 3 Transfers welcome. Anyone who is a legal U.S. resident, 21 years of age and older, a non-felon, and lives in one of the 39 states that allow private ownership of silencers. A silenced firearm is eminently more enjoyable to shoot than one without a silencer. Silencers generally increase the accuracy of a host firearm while reducing recoil and eliminating up to 90% of the muzzle signature. Shooters are able to concentrate more on breath control and trigger pull when they are not subjected to the fatigue and distraction of a deafening, bright, muzzle report. Beginning shooters are typically not intimidated when introduced to the shooting sports with a silenced firearm, and are able to easily hear instructions given to them by trainers as the report of a host firearm is reduced to below the OSHA guideline level for hearing damage. Silenced firearms are also less likely to disturb any people, livestock, or wildlife that may be in close proximity to where you shoot.